God’s light shines in all of His creations, from the Star of Bethlehem, to the angel proclaiming Christ’s birth, to the Son of God Himself—the light of the world. Through this light, He illuminates darkness, gives us guidance, and shows us how to love one another. 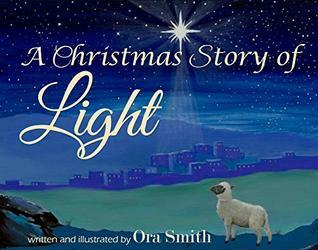 A Christmas Story of Light is really a new way to look at the story of Jesus. Though it tell you the meaning of the authors point about the Light. In a way we are all born of light. Jesus is our savor and that we would follow him if we do good and be kind. The pictures are done wonderful. It keep me wanting to read the the story. I was more into the pictures. For me that is. Young readers could read this a bit but they need help. It picture can tell you the story by going page by page.